At Compare Holiday Money we are constantly striving to improve the services and features we offer so that you can get the best deals on your holiday essentials. Over the past few years, your comments and feedback have helped us to shape the development of our website to ensure that we stay focused on the things that have the greatest impact on your holiday budget and maximise your spending money. Now, after more than one year in development, we are delighted to announce the launch of our brand new travel insurance comparison service where you can request quotes from dozens of the UK’s biggest travel insurance providers. Get a travel insurance quote in under 60 seconds. 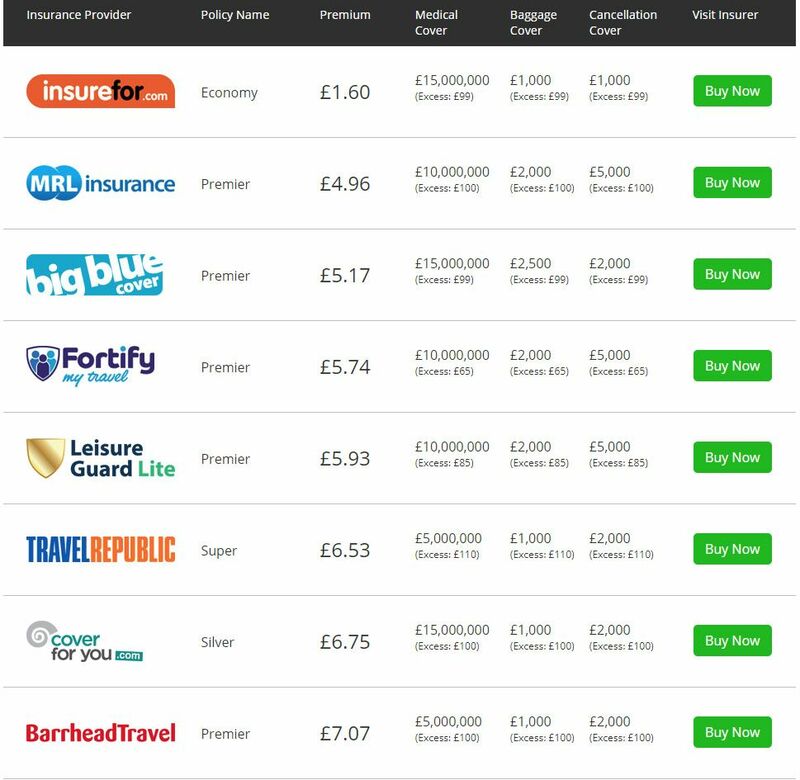 We have teamed up with some of the most recognisable and highest-rated insurers including Debenhams, Flexicover, Insurefor and Travel Republic to build this unique comparison service that allows you to compare scores of travel insurance quotes in under 60 seconds. Unlike other comparison websites, we don’t ask you to enter any personal details to request a quote so you can be absolutely guaranteed that we will never store your details or send you any follow up emails. 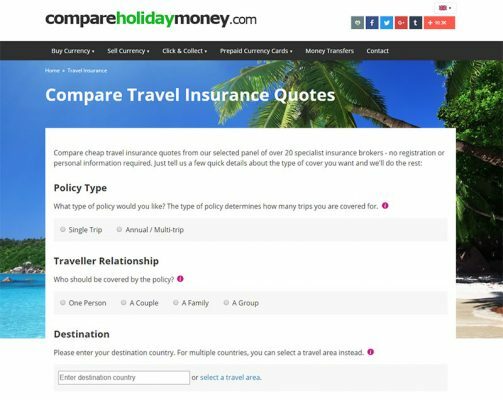 We compare quotes from dozens of travel insurance providers. 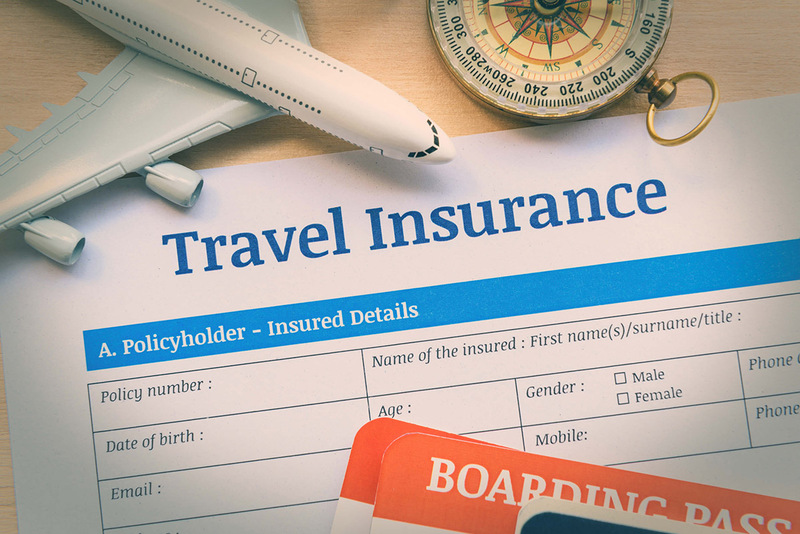 In keeping with our other comparisons such as travel money and prepaid currency cards, we have made our travel insurance comparisons as simple and intuitive to use as possible. Just enter a few short details about what kind of policy you want, who will be travelling, and where you are going, and we will automatically request quotes from dozens of brands so you can see in an instant who is offering the best deals. Whether you are travelling solo on a short weekend break, or taking the entire family on the holiday of a lifetime; don’t buy travel insurance until you’ve compared with us first! For more information and to request a quote, please visit our travel insurance comparison page.